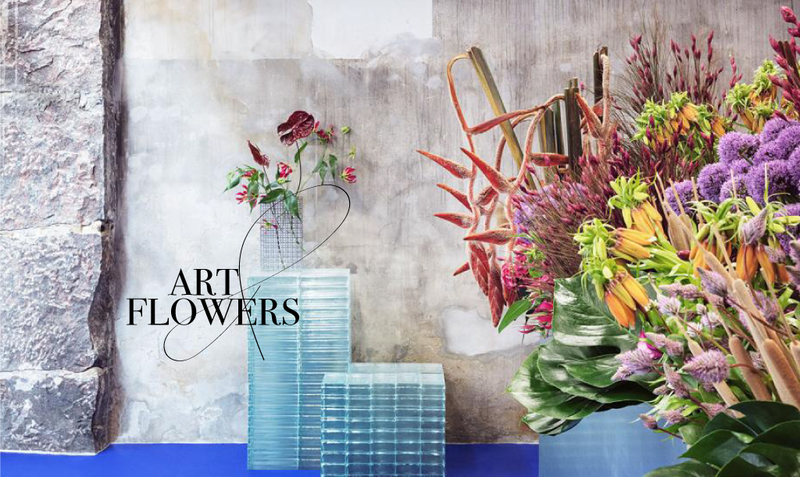 Flowers had always been part of the art world and they are the new medium of choice. 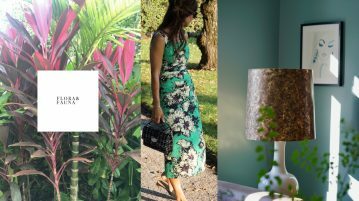 We found three inspiring artists that showcase flowers in a context we find inspiring and worth talking about. Next time in Copenhagen visit the newly opened flower shop TABLEAU in the heart of the city showcasing flora as art. Designed by the studio of architect David Thulstrup (the man behind the new Noma and the Vipp Hotel), who completely reinvented the flower-store concept for Julius Værnes Iversen, owner of the city’s well-known BB Blomster. Flowers take centre stage, shine and stand out ,they become an installation of art by placing them in vases of geometric shapes and cold materials of the podiums which stand on a blue vinyl floor. 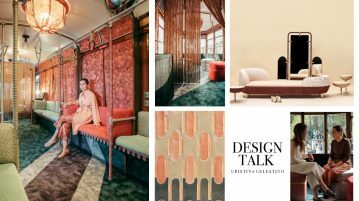 These rather cold, technical materials elevate the beauty of nature and give their organic shapes and varied colours all the attention. 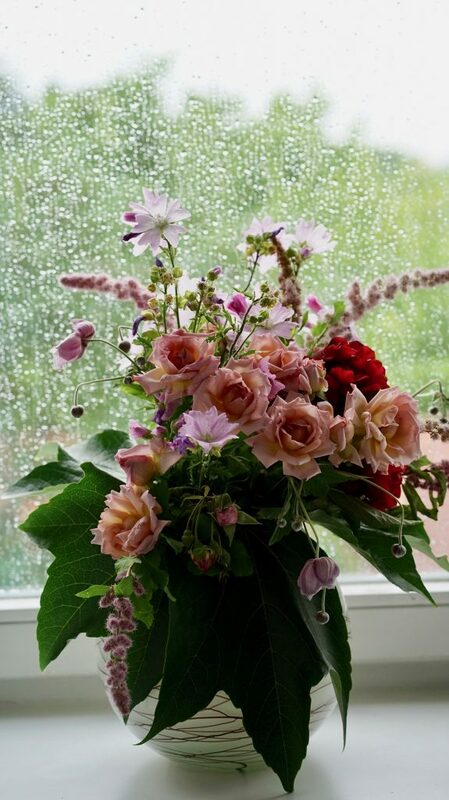 You have probably noticed a beautiful arranged flower bouquet arranged at a random location. Just imagine a forsythia and sunflower bouquet bursting from a New York city trash can or a garland of roses draped around a statue in Central park. This is not a Hindu celebration or an angry lover’s reaction of throwing away symbols of love. These installations have been created by Lewis Miller, a New York florist known for his fantastic wedding and party flower decorations. He calls these acts FLOWER FLASHES and all they want to express is joy to their fellow citizen. To hold in for a moment and realize all the beauty of flower arrangements, take a visual break and get inspired by the beauty of flowers. 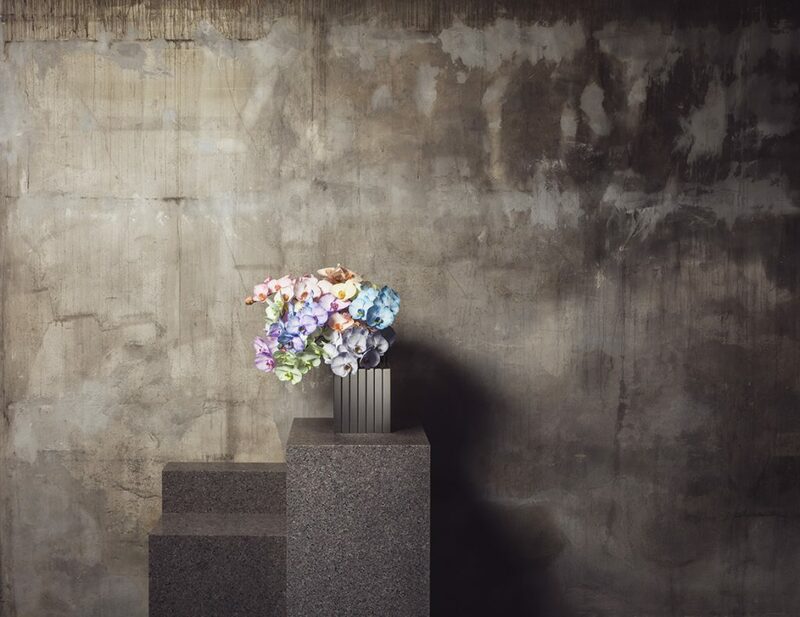 To place them in random places evolves contrast and makes the flowers even more beautiful. 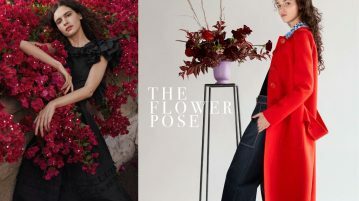 You have probably heard of the Japanese Floral artist Azuma Makoto when you are interested in Fashion. 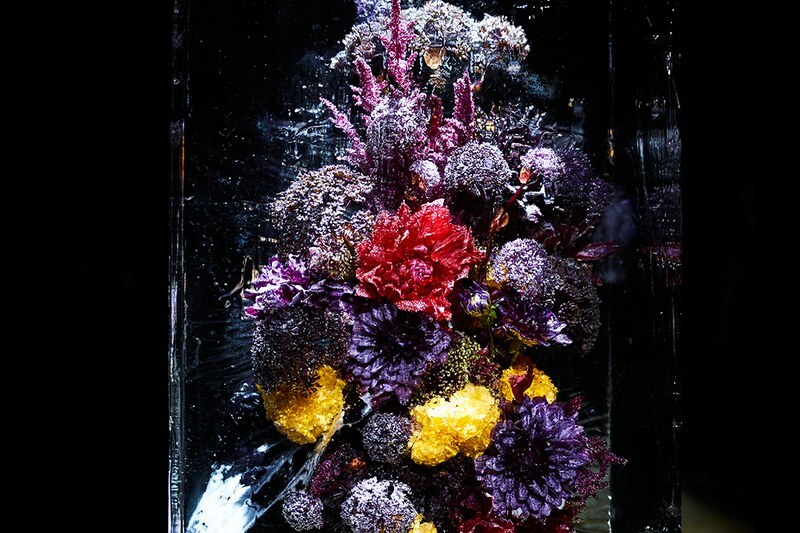 He had done magnificent floral installations for the opening of the FENDI Tokyo flagship store, read our interview, and drew attention during the Spring Collection 2017 of Dries van Noten when he created ice blocked flowers and placed them on the runway. 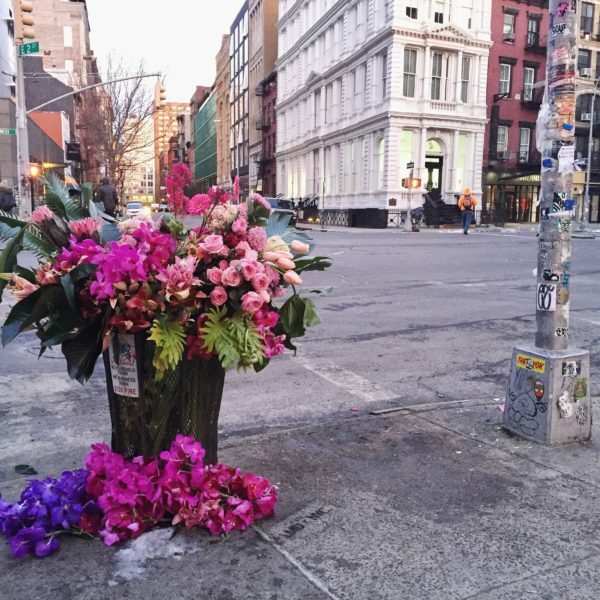 They almost took away the attention of Van Noten’s collection and from there they found their way into the Soho it-Shop of Opening Ceremony where customers could by the Block Flowers that looked like a 3D Foto of Irving Penn.